Pewsey station still retains its original brick built station building, seen here in golden early morning light on 23 August 2013. The Berks & Hants line was opened as a broad gauge route in 1862, to provide a quicker route to the West Country compared to the Great Western Railway's original line via Bristol. 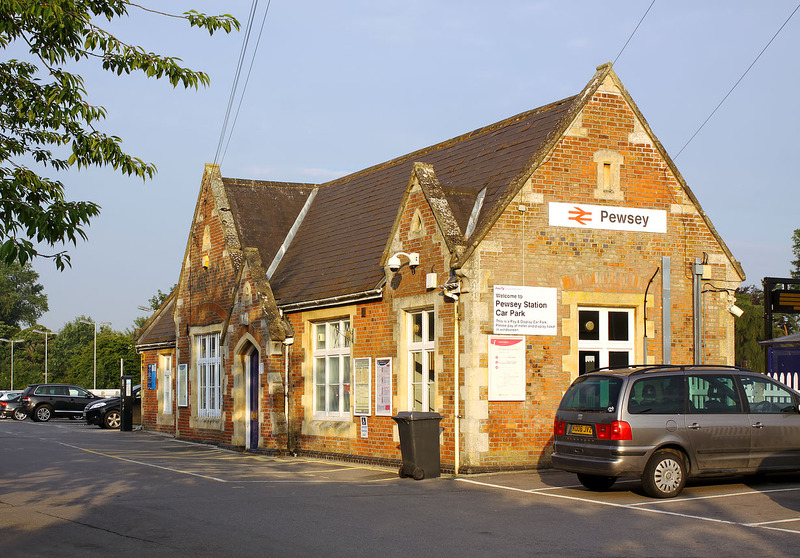 Today the station is well used, serving not only the small town of Pewsey, but also the nearby larger towns of Devizes and Marlborough, now both devoid of railways.